Set in silver, and totally encrusted in tiny Austrian crystals, these exquisite slimline earrings are the princess of dazzle. Totally on-trend, but at the same time an absolute classic they frame the face beautifully, shimmering like crazy with every tiny movement of your head. 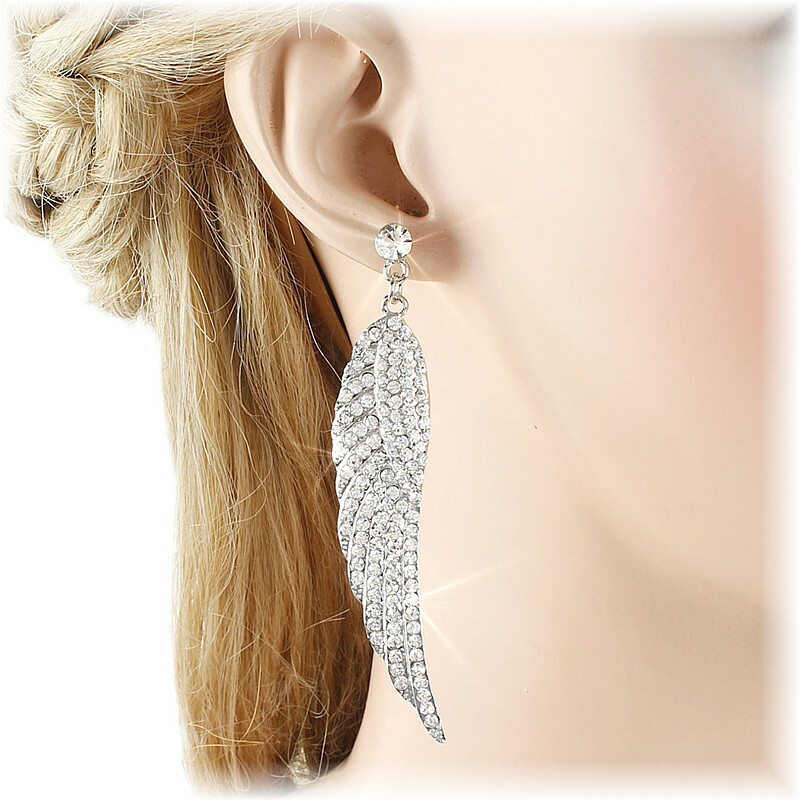 Wear both, or go Solo, at 7.8cm/3" - they will wow any onlooker! They also make the perfect gift for females of any age. Length: 7.8cm (3").